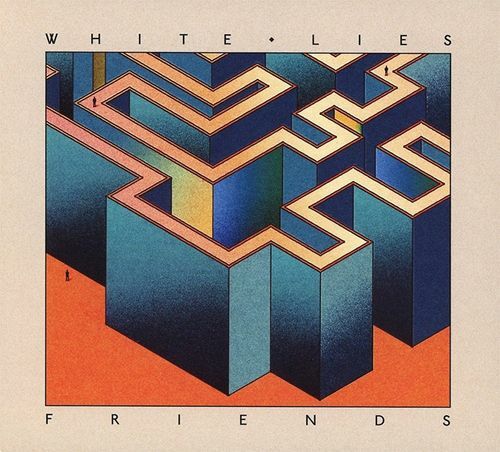 Post-punkers from across the pond White Lies are back with an album that can only be described as elegantly catchy. Since forming in 2007, the band has successfully married the neo-new wave of bands like The Killers and Interpol with the more anthemic rock normally associated with American acts like Kings of Leon and Mumford & Sons. Having ridden the wave NME-fueled hype there and back again, the band now hones its sound even further, dishing out perfect sounding synths, quickly clipped guitars a la The Cars, and Harry McVeigh’s Ian Curtis-esque intonations. Though it may be well-trod territory, the band sticks it out by writing memorable tunes throughout. The album’s first three tracks could all easily be radio hits, while songs like “Is My Love Enough?” dig deeper as McVeigh admits “I overthink all my thinking” over a fluttering synth tapestry. Mostly, White Lies give you the kind of tracks you want to hear while poolside sipping a martini—or dreaming about being there, as songs like “Don’t Want to Feel It All” alternate between silky synth lines and lighter-waving moments that beg to be heard from festival speakers. With the band’s strongest set of songs yet, Friends should be the album that finally wins White Lies the U.S. fanbase it deserves.